Four sizes/types available. Made of mild steel, these baskets are best used in a machine in conjunction with Graymills Agitene products. Four sizes/types available. Designed specifically to work with Clean-O-Matic™ units. Two sizes and two material types available to fit the TR24 and TR36, in mild or stainless steel. Five sizes and two material types available to fit all models of L-Series Liftkleens™, in mild or stainless steel. Constructed with 360° rotation and a 28” gooseneck to allow for additional lighting of entire work area. Solid support so light cannot be pulled down to obstruct cover closing in case of fire. For HK-150, all Handi-Kleens,™ and all Clean-O-Matics.™ Mounts to back or side of tank. Four models available. Ideal for additional work space or replacement of worn shelves. Two models available. Removable soak trays keep soaking parts off the bottom of the tank yet capture any sludge to make removal easier. Two models available. Accessory shelves designed to provide a working platform that allows cleaned parts to drain while directing run-off into tank. Shelves mount externally to maintain critical workspace. Five models available. Available with or without a hose for directed fluid during cleaning. Five models available. Filtration systems are available for all Liftkleen™ Models. Filters for T-series models available in 10, 50 and 100 micron. For L-series models in 150 and 590 micron. Replacement filter bags for Drum Mount Parts Cleaners. Three models available. 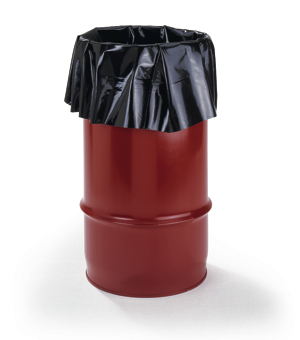 Poly bag liners simplify cleanup and disposal of solid waste. Available by the dozen. Four models available. Extend the life of solvent cleaning solutions by filtering out the oil and grease that accumulates in the solvent cleaning solution.